A teenage pilot who successfully landed her small plane after losing a wheel on her first-ever solo flight said she "freaked out a little bit" after someone on the ground radioed she'd lost the landing gear. 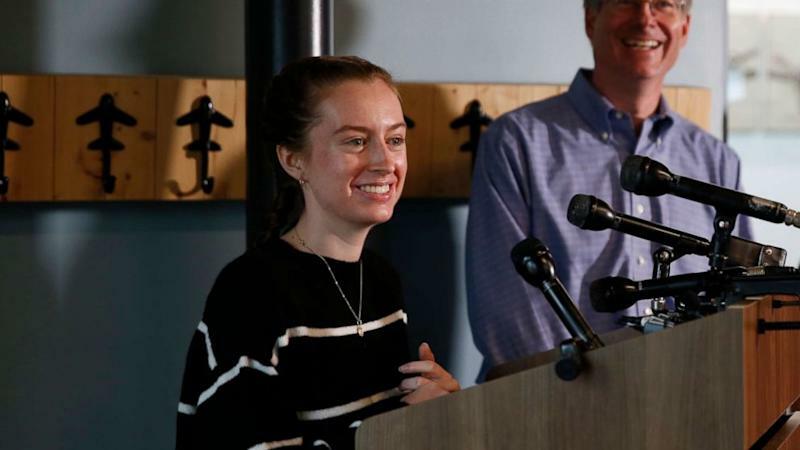 Maggie Taraska, 17, was on her first solo cross-country flight at her local airport in Beverly, Massachusetts, headed for Portland, Maine, when the possible disaster unfolded. "I got really scared, nervous, obviously," she told ABC News. "I had done emergency procedures before, but you don't do them if you lose a wheel. No one really thinks that's going to happen to them. And I mean, I was all by myself so I was just terrified." It was no less scary for her mother, an Air Force veteran, who was on the ground watching. “It's nerve-wracking to see your kid up there and you're helpless and just hoping for the best that everything would work out,” Christine Taraska told ABC News in a phone interview. Her daughter, who had been flying for three years, was attempting her first cross-country solo flight when the right main wheel of her small aircraft broke away. 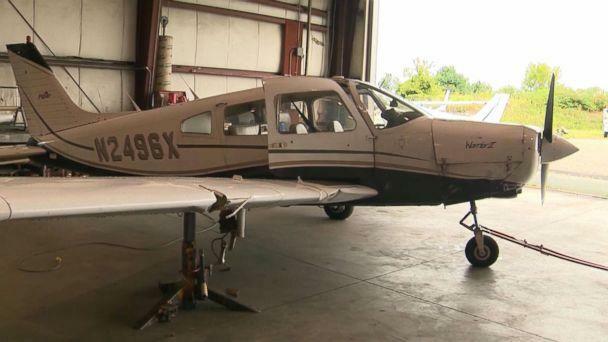 Taraska said that it was only a few minutes after her daughter’s single-engine Piper PA28 took off from the Beverly Regional Airport when the part broke off. Luckily, a pilot on the ground spotted the broken part fall off the plane. 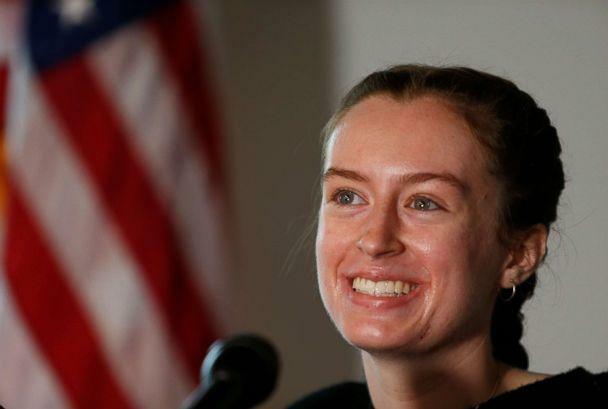 But earlier this week, the light-hearted teenager described her experience at a Boston press conference. The reporters wanted to know how she managed to keep her cool and land the plane. “I think I panicked a little, just less than most people would," she responded with a laugh, according to Boston ABC affiliate WCVB. When the part fell from the plane, the pilot on the ground reported it to the control tower, which contacted Taraska in the sky. Air traffic control contacted her instructor, John Singleton, who assisted her through radio to overcome the challenging landing situation. “Maggie, this is John. How are you doing?” Singleton could be heard asking through radio traffic, according to WCVB. “OK, you're doing a great job flying the airplane,” Singleton responded. “Keep doing what you're doing. We're going to take our time here. We've got plenty of time. You have plenty of fuel. We've got plenty of daylight." "So just try to relax, and you always heard me say, 'Go back to basics,' so we're going to work the basics here as much as possible, OK?” John asked. “All right,” Taraska could be heard responding to her instructor. 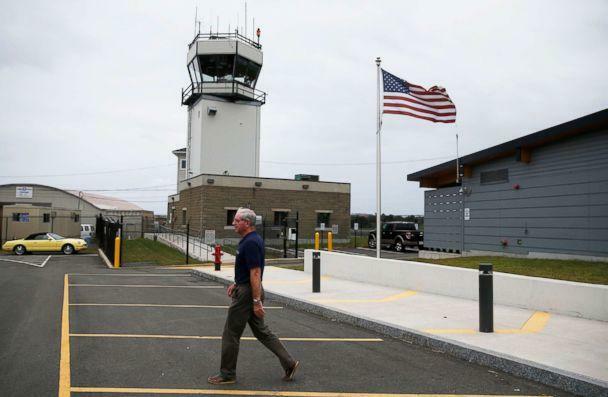 To assist Taraska’s dangerous landing, the small airport was shut down so there were no any additional distractions, WCVB reported. With a clear tarmac and assistance from her instructor, Taraska managed to land the plane safely. "I couldn't have done it alone, without a doubt," Taraska at the press conference. Singleton did not immediately respond to a request for an interview with ABC News. "You could hear the stress in her voice but as she understood what was going on, she calmed down, she worked through it," he told WCVB on Monday. Taraska said that she was trying to pull herself together and use the emergency landing skill that she has practices as a pilot. "You have to have confidence in your ability if you're going to be a pilot so I knew that I had practiced emergency procedures plenty of times and I knew that if I tried my best and I kept a cool head, there would be the best outcome possible," Taraska told the press. Taraska who succeeded in landing in a dangerous situation said she hopes to go to the U.S. Air Force Academy -- like both her parents. "I remember the last time I really looked at the altimeter it was like 400 feet," Taraska told ABC News. "And I realized, 'I'm going to touch down. Either way, it's going to be good, it's going to be bad. I'm going to be on the ground.'"